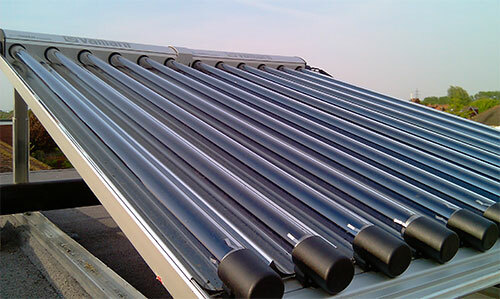 Solar thermal systems generate hot water by collecting free heat from the sun. These systems tend to come in flat plate or evacuated tube collectors mounted on flat/pitched roofs, or walls, the systems then link into your existing hot water system with minimal disruption to supply you with hot water. They can save you as much as 60% on your hot water bills. This means you will save money, reduce your reliance on energy suppliers and reduce your Carbon footprint – win, win all round.